For those of you that do not know this is one of the biggest online shopping days of the year. Since the stores are bombarded on Black Friday internet sellers wanted to give shoppers deals too in order to increase business. The term first came about in 2005, and has recently found increased popularity among shoppers. This is most likely due to a greater number of people shopping the internet each year rather than fighting the crowds at the mall. 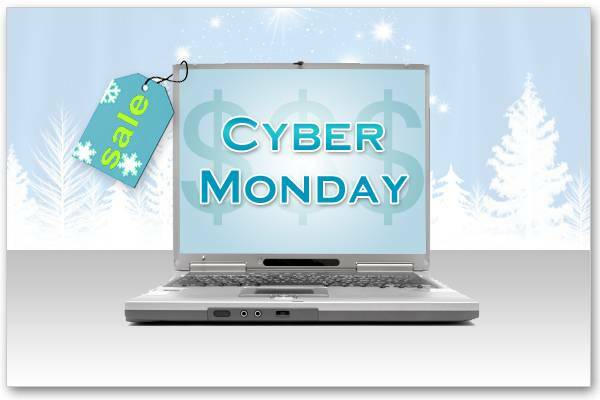 Cyber Monday was created by Shop.org after internet sales showed an increase of 78% the Monday after Thanksgiving. If you are new to Cyber Monday be sure to check out all the great deals online, and enjoy a mod free shopping experience. Marchon3D's EX3D Eyewear -This Cyber Monday, a must-have for your product list is a pair of stylish, technologically advanced 3D glasses from Marchon3D’s recently launched line of comfortable, chic and affordable EX3D glasses. If the thought of endless lines at retail stores on Black Friday make you cringe, yet you want a head start on holiday shopping, we have great news! There's no need to leave the comfort of home to purchase EX3D glasses - every relentless style is available at www.EX3D.com with prices averaging at $35.